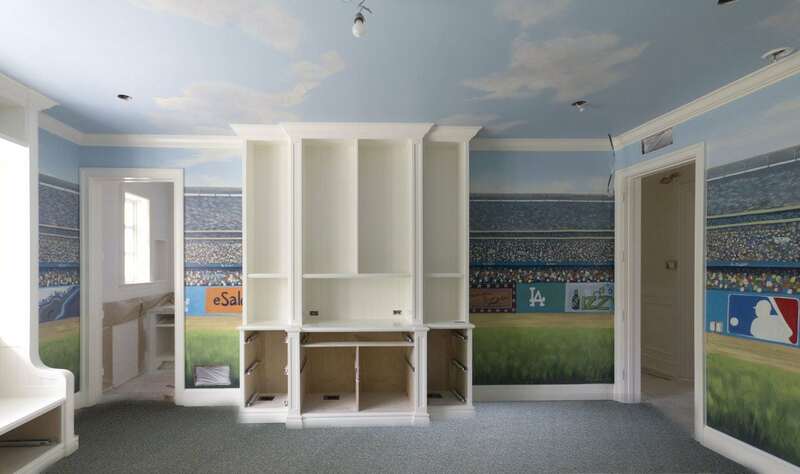 Imagine waking up each morning to a stadium of thundering applause – for YOU! 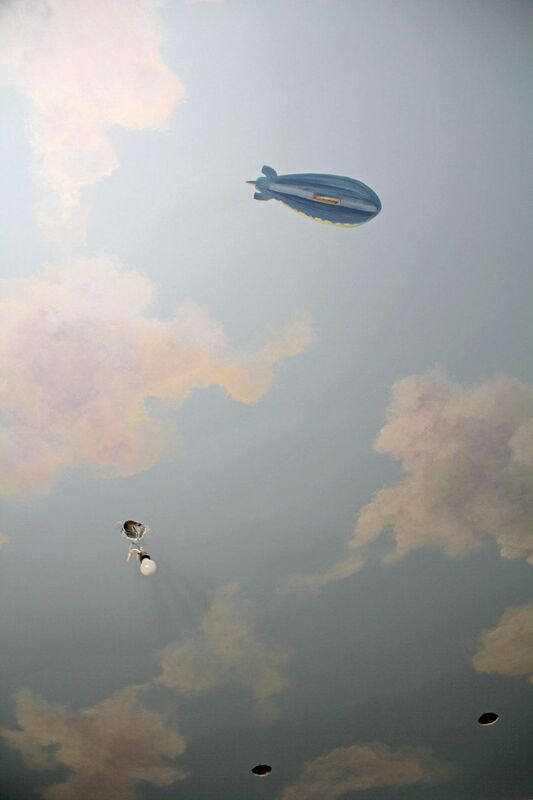 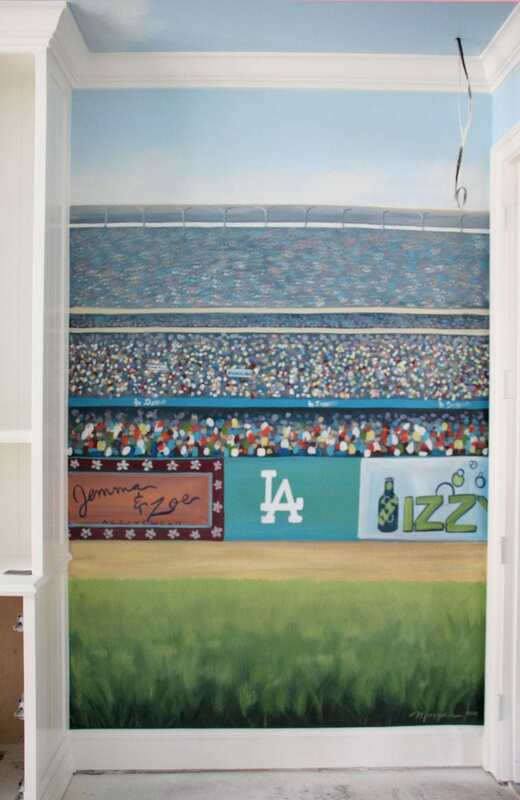 I think we could all use a little bit more daily appreciation, and I hope that through this 4-wall baseball stadium mural, one lucky soul will now receive that daily gift. 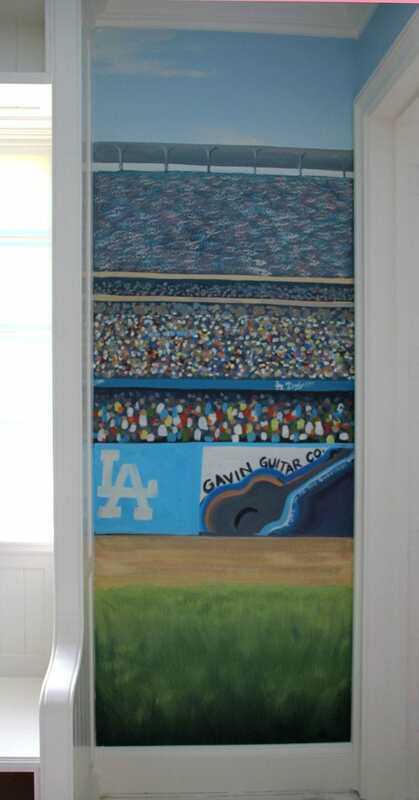 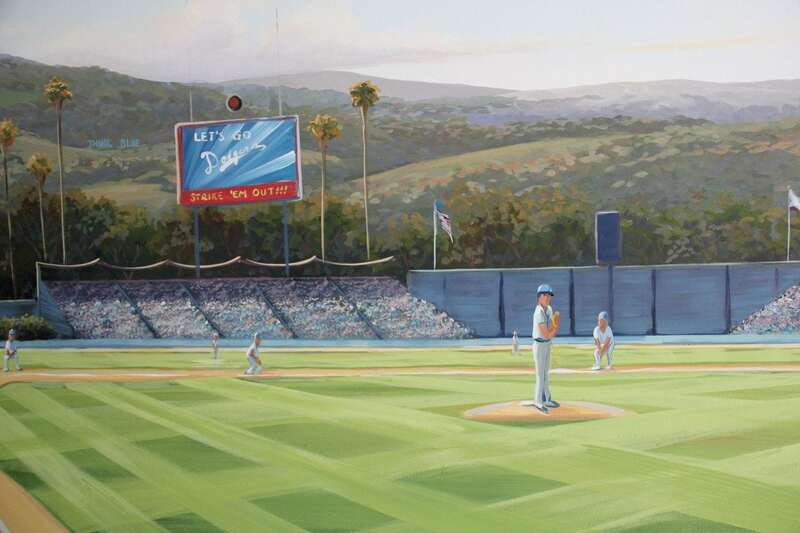 I had the pleasure of traveling to beautiful Santa Monica, CA to paint Dodger Stadium on Gavin’s walls. 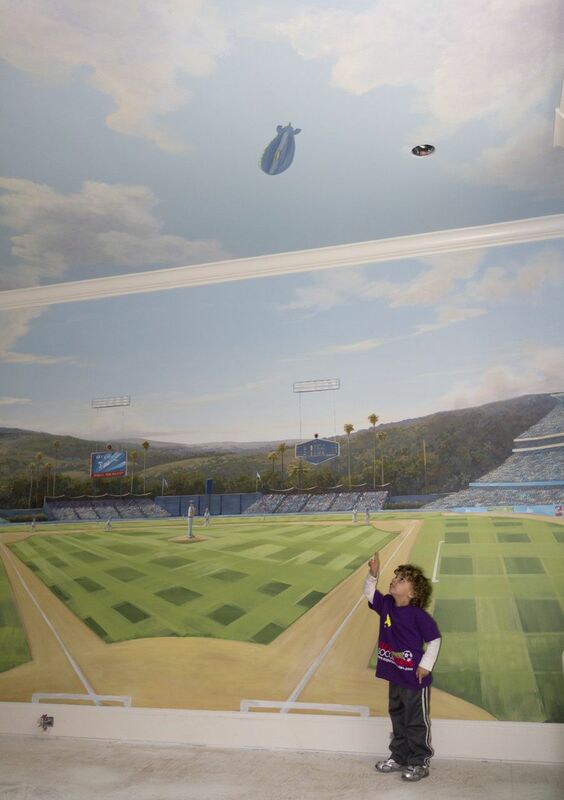 I have the feeling that the little league crowds he will be facing in the coming years won’t phase him a bit! 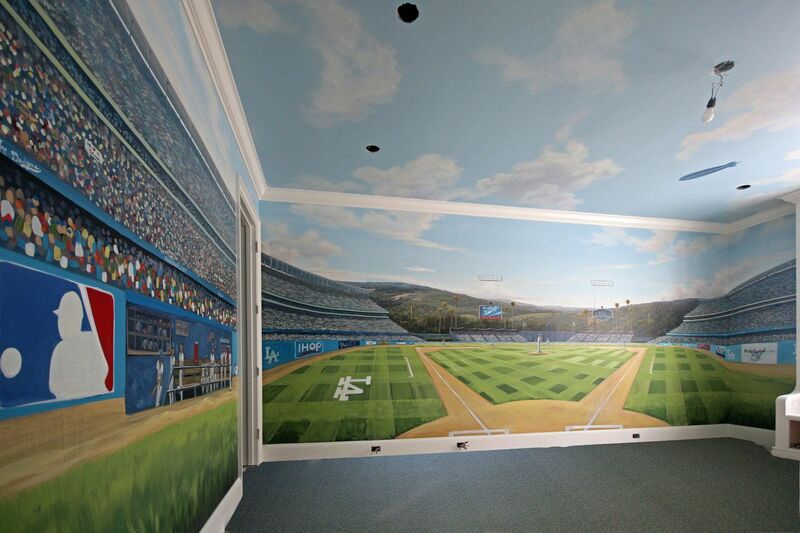 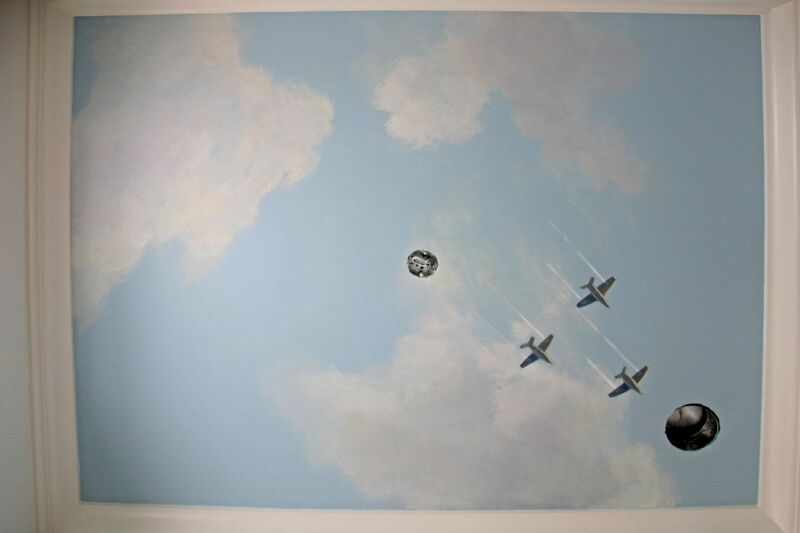 For more information about this mural project, read my blog post Ready for the Big Leagues?.